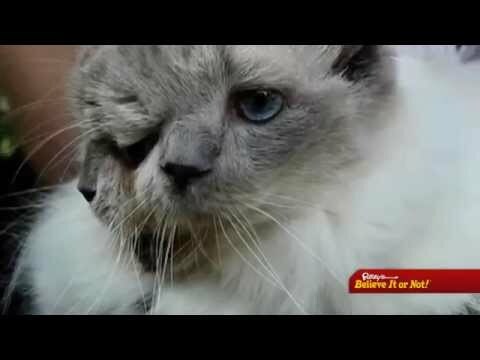 The famous two-faced cat, Frank and Louie nicknamed Frankenlouie, passed away after living a full life at 15-years-old. The Massachusetts two-faced feline held a Guinness Book of World Records title for the longest-lived Janus cat. Cats with two faces are extremely rare noted by the University of Missouri’s Department of Veterinary Medicine and Surgery. Two-faced felines don’t live that long due to health problems, but Frank and Louie surprised everyone by living to the ripe age of 15-years-old. Frank and Louie were loved and looked after by Martha Stevens, who believed in them from the very beginning.